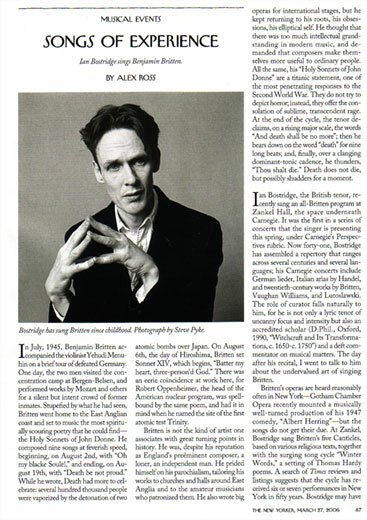 Ian Bostridge. Tenor. New York City. 2005.